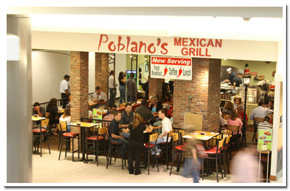 The original Poblano’s can be found on Eldridge Parkway, Houston, Texas in the midst of the Energy Corridor. In 2007 when we found a really nice place, there was seating for about fifty, a ten slot parking lot, no restrooms and a kitchen the size of a closet. The décor was simple yet trendy and elegant. So we decided to open a restaurant. The zero budget we had, didn’t stop us to turn it into a Mexican Grill restaurant. 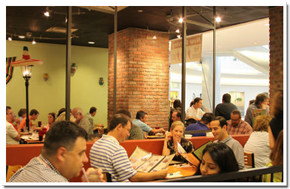 After long eight months of hard work, we went to Mexico to bring the ambiance of Mexico into Poblano’s. At Poblano’s, the Motto is “fresh and quality food at reasonable prices” and if we do not have any item on the menu that you are looking for, we will gladly prepare it for you. Visit us at the restaurant near you or just pick up the phone and cater from us for a mind blowing experience!